Megan Maxey has a deep passion for journalism and all things media. She is a storyteller through and through. Her training reflects this. 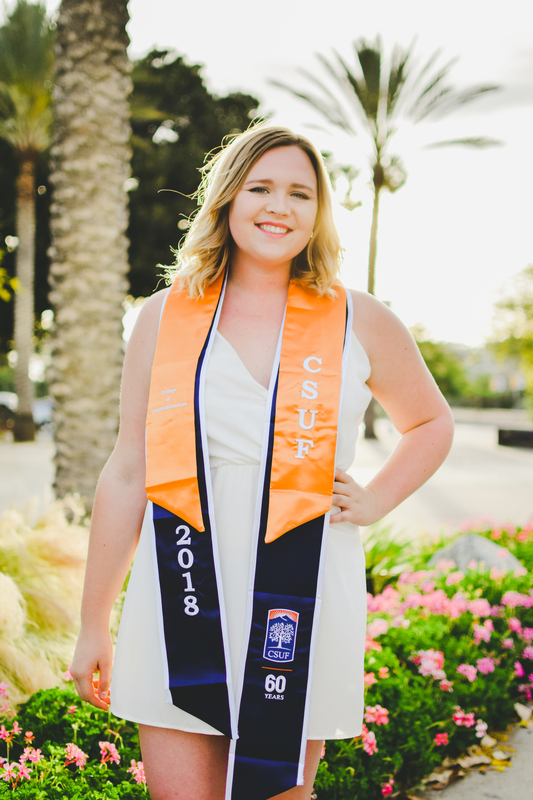 During her time as an undergraduate, Maxey held leadership positions in the college newsroom, both at Cal State Fullerton’s Daily Titan and at her community college. She has held titles such as news editor, opinion editor, social media editor, features editor, assistant to the layout editor, reporter and staff writer. Maxey also helped design the 2018 edition of Tusk Magazine, Cal State Fullerton’s student-ran culture magazine. She started her collegiate journalism career as an editor on The Collegian staff at San Joaquin Delta College. She gained an incredible amount of knowledge and experience in the community college newsroom. Maxey is an award-winning collegiate journalist, taking home CCMA awards for her work covering homelessness and her multimedia coverage of on-campus protests. As a community college student journalist, Maxey won awards at JACC conventions for her opinion writing. She not only produced work during her undergraduate, but wanted to inspire others as well. Maxey served at the president of the Society of Professional Journalists, Cal State Fullerton chapter for the 2017-2018 academic year. She transformed the club from a band of a few college newspaper editors, to a source of support and education for more than 20 students interested in journalism. She brought in guest speakers, set up a tour of the Los Angeles Times newsroom and brought in more members than the club has hosted in years. Maxey spent two summers as an editorial intern. During the summer of 2016, she worked and lived in Washington, D.C. as a program participant of The Fund For American Studies. The following summer she returned to her home in Northern California to work at The Record. Maxey produced front-page stories and multimedia for the Stockton-based newspaper during the summer of 2017. After all is said and done, Megan Maxey is a storyteller. Her passion for journalism began in feature writing, where she learned to craft beautiful, human stories about everyday heroes. The core of Maxey’s passion for journalism is media ethics. Journalism is an honorable profession and is vital to the success of democracy. Without ethics, journalism is powerless.